Panasonic copiers are the home for multifunction devices. They can print, copy, scan and fax with ease. Panasonic make their copy machines capable of many different functions, all combined in one sleek and compact design. This allows multiple tasks to be completed in one small space and through one machine. Each copier is able to handle various different tasks that are required, without compromising on performance. The Panasonic DP 8035 Copier has some incredible standard features! How about 35 fast copies per minute! 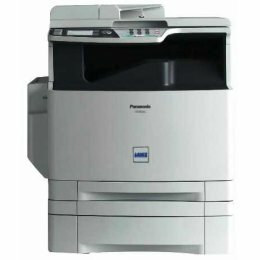 The Panasonic 8035 Copier also has standard network printing and document management software! That's not all! 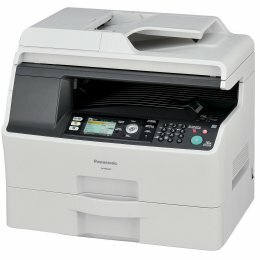 The Panasonic DP 8035 Copier also optional scanning to the network! 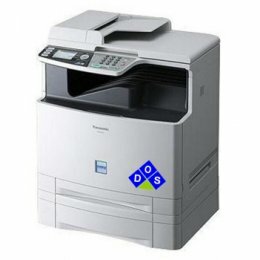 The MC210S1 is a network copier that is able to print, copy, scan and fax all in one device. It will print and copy in color at a speed of 21 pages per minute. This MFC will hold 770 sheets of paper and has a 50 sheet automatic document feeder. Save paper with duplex copies using the DPMC210S1 Copier. 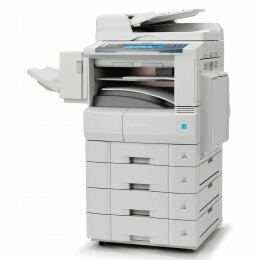 The MC 210 MFP is a network copier that will print, copy, scan and fax in color. The Panasonic 210 is easy to use with its large 3.6-inch color LCD screen. Included with the multi function is a 50 sheet automatic document feeder. The Panasonic copier is a great way forward to help you do the many different jobs that often need to be done in one go. It can often double as a printer – which can be networked to a whole group of users, as well as serve as a fax machine and scanner. This multi-role ability makes Panasonic very popular with small work groups looking to be economical and efficient at the same time.